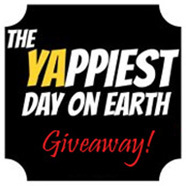 This is the 9th YAppiest Giveaway! For a chance to win a FREE copy of these books, see the “Here’s How” section below. For a complete list of upcoming giveaways, go here. Lish Dishes Snarky Horror at its BEST! 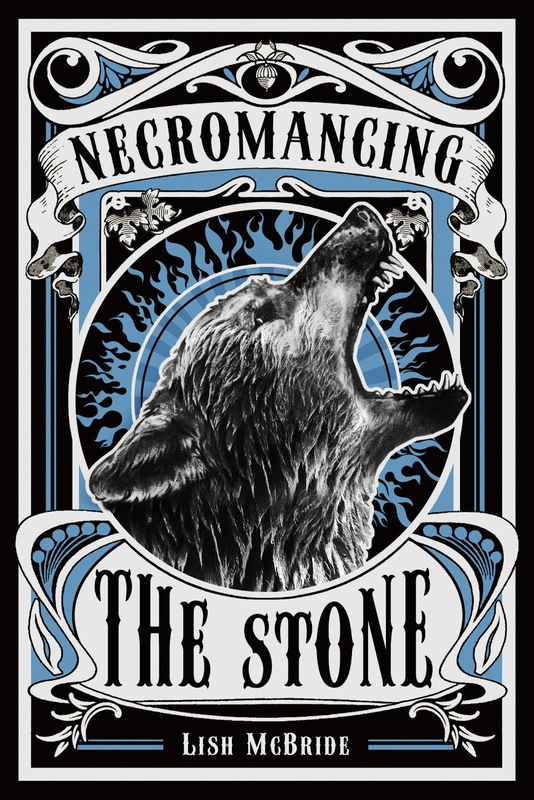 I was only going to feature Necromancing the Stone, the second Necromancer book by Lish McBride, in this giveaway. 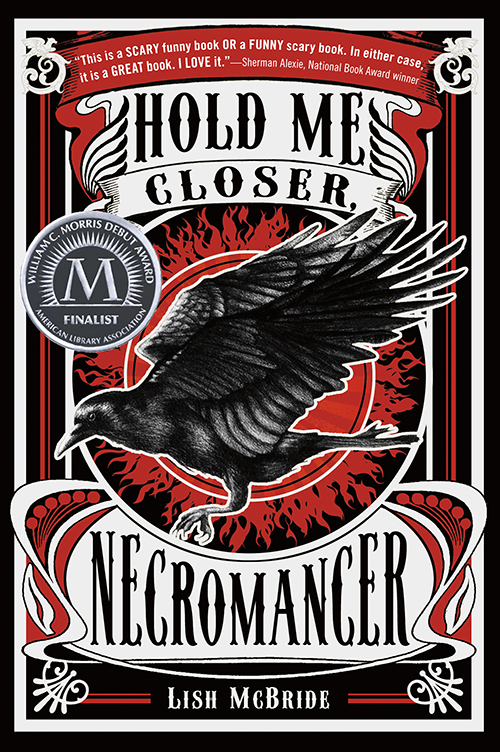 Then, I read the jacket flap for the first Necromancer book, Hold Me Closer, Necromancer, and had to read it first. Am I glad I did! The two Necromancer books compliment each other perfectly. For optimum satisfaction, you should read them both. This is a funny scary book [series] OR a scary funny book [series]. In either case, it’s a GREAT book [series]. I LOVE it. The [series] additions are mine. But trust me. This quote sums up both books, and that’s why I’m giving them away as a set to one lucky winner. Sam hates his underwhelming life—a college drop-out facing a life sentence as a sometimes-fry-cook and most-of-the-time-counter-jock at Plumpy’s burgers. But that changes when a bad shot in rogue game of parking-lot-potato-hockey damages the wrong car, introducing Sam to the one man who can, and will, make his life hell. Sam knows Douglas Montgomery is dangerous the moment he sees him. Expensive suit aside, Douglas is a psychopathic killer and necromancer who raises the dead for cash. Not the kind of guy you want to piss off. Something Sam accomplishes by just being who he is: bad at hockey and a necromancer Douglas sees as a threat. The thing is, Sam didn’t know about his necromancing heritage, leaving him at an extreme disadvantage. Thanks, mom. Douglas kidnaps Sam to eliminate his competition, and perform a few torturous experiments. The upside to being trapped in a magical cage in a scary basement is Brid, the amazing female werewolf he’s forced to share his cage with. The only chance Sam and Brid have at surviving, is for Sam to defeat Douglas by embracing his necromancer powers. Yeah? That’s a long shot. The good news is, they’re in in Seattle where there as many paranormal types as coffee houses. Plus Sam’s good heart is a wildcard that stacks the deadly deck in their favor. I didn’t know what a necromancer was before I read this book. Even so, McBride’s seamless world building, realistic characters, and witty banter created a charmed suspension of disbelief from the first page to the last. I loved the snarky humor and the quirky cast of characters. The tight pacing kept me on the edge of my seat, and that fact that this story never took itself too seriously had me laughing while I kept turning the pages. Sam is shocked that he defeated Douglas, inherited his seat on the paranormal council, as well as his house (more like mansion) and material wealth—including a shape-shifting servant. Then there’s Sam’s werewolf girlfriend Brid, who’s next in line to lead her pack. He never thought he’d score a girl as amazing as that. From fry cook to financially independent. Sam LaCroix is having to get used to his new life. But things were looking up, right? Um . . . not so much. His girlfriend’s pack insists on training Sam so he can protect himself, and he’s tired of getting beat up by everyone, even the garden gnomes. Douglas’ house is downright creepy, his best friend is a were-bear (because of him), and someone is threatening his sister. Sam knows he’s got powers, but doesn’t know how to use them. An epic fail waiting to happen. When Brid’s father and leader of their pack is murdered, all signs point to Sam. When everything else starts falling apart, Sam is forced to step up and take control and only finds more questions. Like, is Douglas really dead? The cast of characters gets quirkier and their antics laugh-out-loud funnier, especially the garden gnomes. The snark keeps rolling too, keeping a refreshing balances with the intensity Sam is forced to face. While the first book focuses on Sam coming to terms with his necromancing heritage, the second book focuses more on Sam’s relationships, how his choices affect those relationships, and how he grows from them. While slightly slower paced than the first book in this series, this book is ultimately more powerful. It offers a satisfying culmination, while leaving openings for future stories to grow. NOTE: This FREE giveaway is open to residents of the United States only, due to shipping costs. My sincere apologies. Leave a comment on this blog–explaining WHY you want to read these books— by midnight, August 23rd (1 entry). I’ll tally the entries and choose a winner, then announce it on this blog on Sunday August 25th. Good luck!